Rock Drilling Machine | Gill Rock Drill Company, Inc.
Gill Rock Drill Company, Inc.
Gill Beetle Drill, manufactured by Gill Rock Drill, is a simple, sturdy drill that can be designed for any type of drilling operation including rock quarry drilling, construction drilling, and geothermal drilling. Founded in 1915 by Fred A. Gill, Gill Rock Drill’s mission is to satisfy the needs of customers by providing high quality equipment, tools and service. Rock drilling is a specialized field that requires the right equipment and the knowledge to back it up. 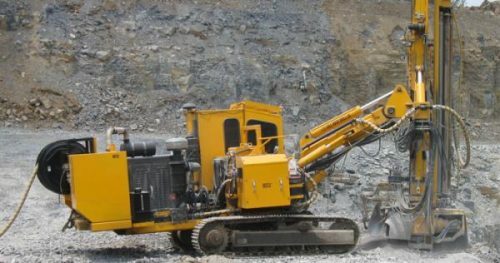 You need a rock drilling equipment supplier like the Gill Rock Drill company that keeps up on today’s advanced technology. Our equipment will make your work site safer and more efficient than ever before. The old saying, “hard as a rock,” explains the difficulty involved in drilling through rock and how important it is to use the right equipment and supplier for the job. The full line of Gill Beetle Drills can be customized for any application and can include a large capacity air compressor and trailer for the complete drilling package. Don’t have all the tools necessary? Gill Rock Drill can provide you with tools and supplies including drill steel, casing, adaptors, and hammers and bits. Gill Rock also does tool joint rethreading and repair. Gill Rock Drill offers in-house or on-site servicing and repair of drilling equipment. If your project requires equipment too expensive to purchase for your need, you have the option of daily, weekly, monthly, or long-term rentals. Further, if you’re looking for contract drilling, Gill Rock Drill has a team of trained drill crew. About Gill Rock Drill: Gill Rock Drill Company is a full-service manufacturer and distributor of drilling equipment, tools and supplies. Whether it be contract drilling, rentals, service, or support, you can always rely on Gill Rock Drill Company to provide training and technical expertise. Contact Gill Rock Drill at sales@gillrockdrill.com or call (717) 272-3861. Gill Rock Drill Company, Inc.: A Quality Rock Drilling Equipment Provider in PA! Gill Rock Drill Company, Inc. supplies businesses and entrepreneurs with excellent lines of rock drilling heavy equipment. Our sturdy, well-built Gill Beetle Drill assists customers in a variety of industries. Whether your business focuses on mining, construction, excavating or drilling water wells, you’ll discover useful applications for this custom engineered machine! 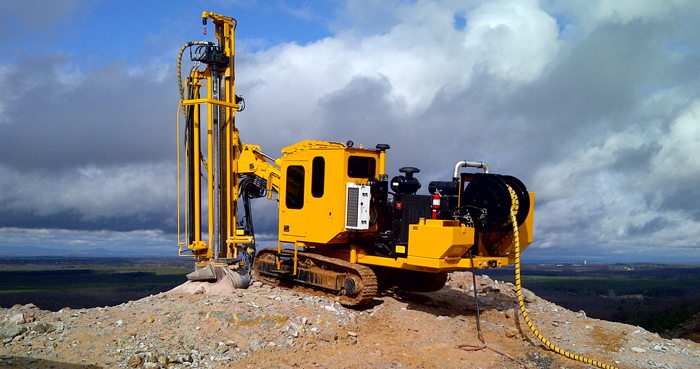 Our versatile rock drilling equipment has demonstrated its utility in many different settings. We assist customers by customizing this brand to fit specific industry requirements. Our facilities include extensive manufacturing capabilities. We design, fabricate, assemble and machine tools and accessory parts and drills to suit your needs. With over 100 years of experience in this field, our family owned and operated company has developed a loyal base of satisfied customers. Have you searched for rock drill manufacturers willing to assist you in developing specific product capabilities? Our firm produces customized blast hole drills, surface drilling rigs, water well drills, construction drilling rigs, geothermal drilling rigs, rock drill bits and other heavy equipment and tools geared towards specific niche markets. Ask us to help you obtain a customized Gill Beetle Drill designed with your company and its unique market needs in mind. Why Rely On Gill Rock Drill Company, Inc.? You’ll gain far more utility by investing in our acclaimed Gill Beetle Drill than you will selecting generic assets sold on the mass market. Our employees care about maintaining the superb quality of every drill we produce. We help customers maintain their equipment by supplying excellent support services. When you select your rock drills through us, we can assist you in obtaining replacement parts and accessories easily on demand. Our convenient location in Pennsylvania allows us to serve customers across the Eastern Seaboard. Additionally, our company furnishes the benefits of flexibility. Although most customers prefer to purchase equipment from us, we also offer some rental equipment and we perform contract drilling under certain circumstances. This versatility enables customers to appreciate the performance of the Gill Beetle Drill in action. If you’ve searched for an effective construction drill or a water well drill meeting specific parameters, contact us for capable assistance. We offer experienced, helpful input to prospective customers searching for real world solutions to challenging drilling problems. To request additional information, or to speak with a customer service agent, call us at 1-800-334-3117 now. You can also use the convenient website contact form. We ship custom parts worldwide! Gill Rock Drill Co., Inc.